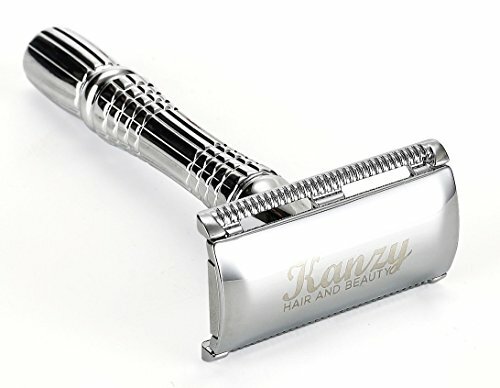 KANZY Double Edge Safety Razor for Men. Long handle 4" / 95 mm & lightweight only 5.9 gms with multiple finger grips to avoid slipping the Safety Razor. All standard double edge blades can be fitted and replaced when required. Easy shaving without hassle and ideal for beard and sideburn edging. If in any case you are not happy with this item, please get back to us and we will try our best to satisfied you 100%. Safety Note From KANZY:To avoid any cuts while shaving or replacing the blades, please be as slow and careful as possible.